Seaspace International Freight Forwarders are delighted to announce that this week we have officially opened our third warehouse facility. The warehouse is adjacent to London Gatwick Airport and is located on the same estate as our headquarters and two other warehouse facilities. The warehouse boasts an initial capacity of 360 standard pallets, and has the capability to expand up to 525 pallets. 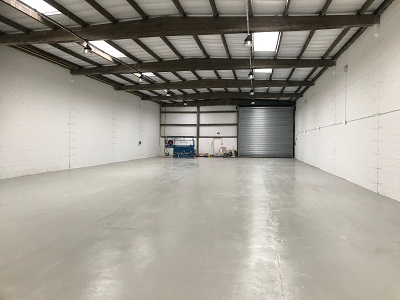 This is our second new warehouse facility to open in the last 18 months. Due to high demand for our expert logistics services, we have had to expand our capabilities rapidly to ensure we can continue to offer our customers the very best quality service that we can. The facility also includes management offices and small item storage and packing zones. Gordon Humphrey, our Managing Director, commented that “the demand for our high quality, reliable and pro-active stock management and fulfilment services continues. To keep pace with this we jumped at the chance to secure this third warehouse on the same estate as our existing two. Our success in this vital link of the logistics supply chain is a testament to the hard work of our teams, keeping clients and their customers happy. It’s this which builds and maintains our reputation as second to none in high-end fulfilment services. 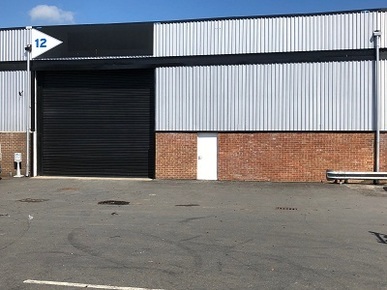 The new warehouse will allow our team to offer both existing clients and new clients an even better and more flexible logistics service, without compromising on quality. In conjunction with our new warehouse opening, August marks our 30th anniversary; from a small office with two people in 1988 to a global logistics presence with international offices, industry leading accreditations, blue-chip clients and an estate of warehouses in 2018. Seaspace has, over the past 30 years, remained proudly independent and focused on providing the highest quality services in multi-modal international forwarding and fulfilment, all backed by a professional and dedicated team. If you would like to find out more about how we can help you and your company with freight forwarding services, get in contact with us on 01293 554620. We ship via sea and air and are proud to have a range of highly reputable logistics industry accreditations.